Round 1 of showers are moving through the area at this hour. The heaviest rains are both north and south of the Cookeville area. 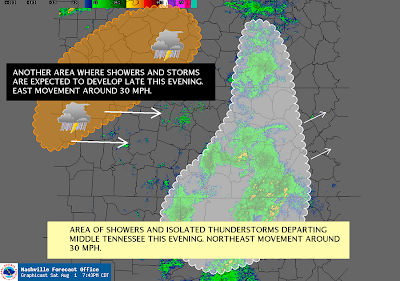 We expect round 2 to develop later tonight and through the overnight hours toward morning. May see some sunshine later in the day on Sunday.